Applications – INTERNATIONAL MONTESSORI ENGLISH SPEAKING PRESCHOOL e.V. Typically, we have a limited number of openings in our group each September. At the beginning of the year, we start looking at prospective families for September. In February, we invite families who have submitted applications to one of our annual Open Days. Open Day gives families and their children the opportunity to visit the school and meet the teachers as well as parents from the current group, who are on hand to show you around and answer any questions you may have, all in a very informal setting. To receive an invitation to an Open Day, please fill out the application form below. However, we accept applications at any time. Our preschool is a very international group – families occasionally move mid-year and openings may suddenly be available. 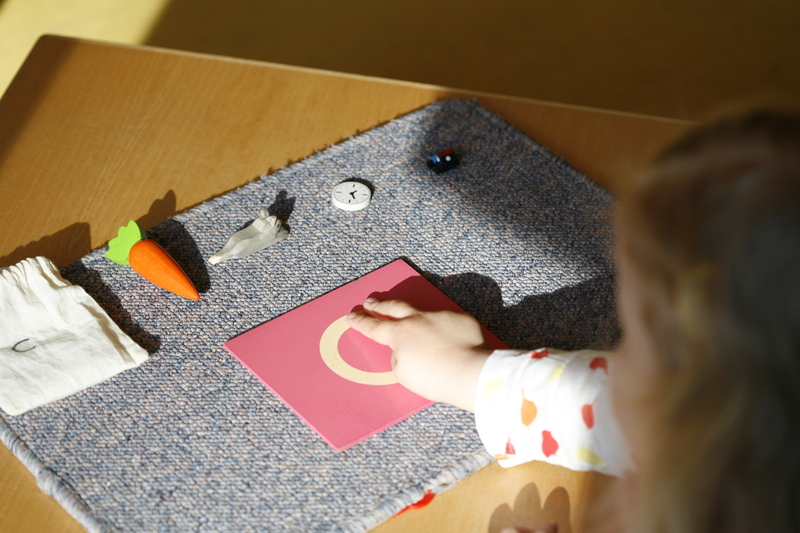 As a parent-run group parents are required to assist a few hours per month with various tasks necessary for the daily operation of the school, making the school a uniquely affordable English-language Montessori school in Munich. The active participation of the parents and three dedicated teachers have helped the school earn a good reputation in Munich’s local and international community. Please describe your family a little. For instance, have you lived abroad? Where and for how long? What interests does your child have? Please describe your daughter/son a little, favorite toys/games/books, what makes her/him happy/laugh/sad/angry, etc. We are a parent-organised and self-managed preschool that depends on the support of each family. Ensure proper and smooth running of the preschool as a whole. Prepare and conduct PTA meetings / Sign various official documents (e.g.contracts with 3rd parties/Petty cash/Parents’ fees and deposits) / Contacts to authorities / Filing / Lease contract/ General typing / Word processing / update of member list, Information Pack, Web site / General contact person for teachers and parents / Internal issues / Issues related to prospective children and teachers / Banking / Continuous education for teachers / All other administrative issues). These tasks will be taken over by two committee members. Prepare and submit financial accounting. Conduct financial controlling (fees, invoices). Prepare and submit annual budget proposal for the next year / Take decisions on minor budget issues/ Prepare decisions on larger budget issues / Prepare and submit actual annual budget for the current year/ Prepare and submit conclusive use of the money for the past year / Prepare financial plan for the year after next. Contact to German Tax Office / Finance issues. Good knowledge of German language required. Repairs and other handyman jobs. Coordination of external workers. Buying presents (e.g. birthdays, Christmas, Year-end), items needed at the Preschool, special items needed for class work by the Staff etc. in accordance with budget and tax regulations (to be aligned with Board member). Weekly laundry, mid-term and end-of-term laundry. Organize up to 3 outings per year for families and teachers: Get proposals for outing destination / Get feedback as to what destination to choose/ Organise date, travel etc/ All other issues involved in successfully planning an outing. Handle the process of new applications, getting and staying in touch with potential new families via e-mail, sending out invitation and prepare for open day. Keep record of all applications, interviews, and child/family evaluations. Organize refreshments, prepare and copy Information pack etc and attending these days. Two open days a year in January/February on Saturdays. Co-ordinate with parents to attend, assist and answer new parent questions. Back up PC, take care of defective equipment, assist with general technical problems, manage website. Contact person for outstanding tasks. Get in touch with parents responsible for completing outstanding tasks, make sure task is completed in timely manner. Assign new tasks when necessary. Contact Parents to fill-in in case of reduced staff conditions (sickness, courses, etc). Please use this field if you would like to give us any additional information about your choice of/availability for the above tasks.